Will the new Governors deliver on expectations? The Supreme Court on Monday listed pleas challenging the constitutional validity of Article 35A for hearing from February 26 to February 28. Article 35A accords special rights to Jammu and Kashmir's citizens and prevents people from outside the state from acquiring any immovable property there. The Bharatiya Janata Party has said that Article 35A is an obstacle in Jammu and Kashmir's development and that it encourages alienation. The party alleges Kashmir's people have been misled into believing that the Article is in the state's interest. Meanwhile, any move towards scrapping the Article has been opposed by Kashmir's political parties and Separatist leaders, with Pakistan also raising concerns over the issue. Article 35A gives the Jammu and Kashmir Legislature full discretionary power to decide who are 'permanent residents' of the state. It gives them special rights and privileges regarding employment with the state government, acquisition of property in the state, settling in the state, and the right to scholarships and other forms of aid that the state government provides. It also allows the state legislature to impose any restrictions upon persons other than the permanent residents regarding the above. To guarantee these special rights and privileges, the Article says no act of the state legislature that comes under it can be challenged for violating the Constitution or any other laws. Article 35A was incorporated in the Constitution of India by a presidential order in 1954 by Rajendra Prasad, who was President then. It is a byproduct of Article 370, which guarantees special status to the State of Jammu and Kashmir, of the Constitution. The Article was not a part of the original Constitution, instead, it was conceived under the 1952 Delhi Agreement between the then Prime Minister of India, Jawaharlal Nehru, and the then Prime Minister of Jammu and Kashmir, Sheikh Abdullah. Framed in 1956, Jammu and Kashmir's Constitution retained Maharaja Hari Singh's definition of who is a permanent resident. Accordingly, people born or settled within the state prior to 1911 or after having lawfully acquired immovable property and residence in the state for not less than ten years before that date are considered permanent residents. Emigrants from Jammu and Kashmir, including people who migrated to Pakistan, are considered state subjects. Descendants of these emigrants are state subjects for two generations. Non-permanent residents are barred from permanently settling in the state, acquiring immovable property there, holding a state government job, and receiving scholarships and other public aid. Article 35A and the permanent settlement law were considered discriminatory against women hailing from Jammu and Kashmir who chose to marry men from outside the state. The Jammu and Kashmir High Court in October 2002 struck down the provision of the state subject (permanent residency) law under which women marrying outsiders would lose their permanent resident status. It was held by a majority view that the daughter of a permanent resident of Jammu and Kashmir would not lose her status as a permanent resident if she married a person from outside the state. However, children of such women don't enjoy succession rights. We the Citizens, a Delhi-based NGO, in 2014 challenged the validity of Article 35A in the Supreme Court on the grounds that the Article was not added to the Constitution through an amendment under Article 368 and that it was never presented before Parliament and came into effect immediately. A two-judge Supreme Court Bench referred the matter to a three-judge Bench after the Attorney General said that it raised constitutional issues. At present, the Supreme Court is hearing several petitions, including the one filed by We the Citizens. 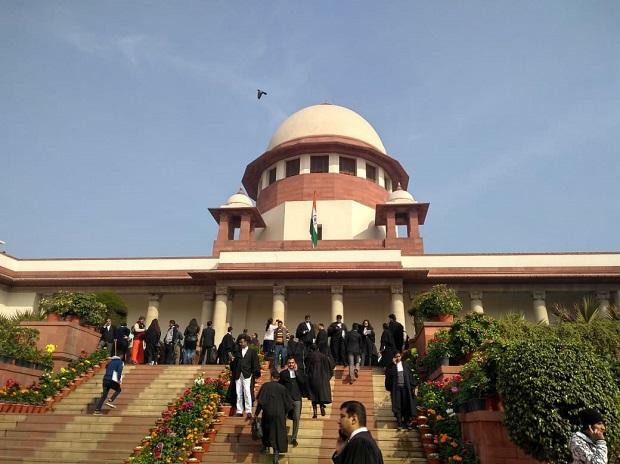 Others, including those by political parties such as the National Conference and the CPI-M, have also been filed in the apex court in support of Article 35A.